Ice Machine Repair Sapulpa - All Brands, All Repairs! We repair all makes and models of ice machines, flakers, cubers, and nugget ice machines, including brands such as Scotsman, Manitowoc, Hoshizaki, and Ice-O-Matic. 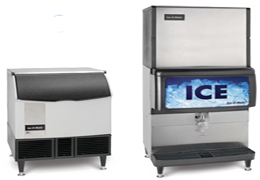 We understand that ice machines are a vital part of your business, we offer same day and 24/7 ice machine repair service. D&G Mechanical, LLC services commercial food stores all around Sapulpa, OK. We are dedicated to providing quality workmanship, professional ice machine repair, and customer satisfaction.